Norman Hudis, who was born in Stepney, London, in 1922, became a junior reporter on the Hampstead and Highgate Express when he was 16 years old. He volunteered for the RAF in 1940, and served in the Middle East as an official reporter. After the war, Norman Hudis joined the Rank Film Organisation as a publicist, and he was also under contract with Pinewood Studios as an apprentice screenwriter. As most of the scripts that he wrote were not making it on to film, he made the bold decision to go 'freelance', and then his career really took off! He wrote the screenplays for several 'B movies' such as Breakaway (1955), Bond of Fear (1956) and Hour of Decision (1957), but his first to achieve real success was The Tommy Steele Story (1957). 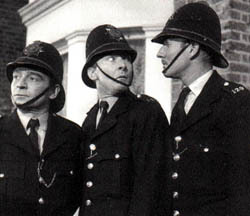 The huge success of this film, both in the UK and the USA, brought Hudis to the attention of 'Carry On' producer Peter Rogers, then planning to make an army comedy. 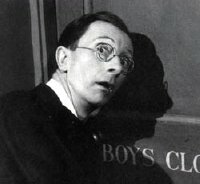 Hudis was chosen to write the script and so the first 'Carry On' film was born. 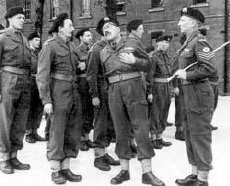 Carry On Sergeant (1958) turned out to be one of the funniest, and most successful, screen comedies. 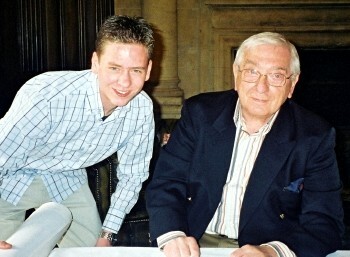 I met Norman Hudis at Pinewood in May 2006, where they held an 'Evening with Norman Hudis' in his honour. He talked to us about his career as a scriptwriter, with stories about his work on the early 'Carry On' films. He later signed my 'Carry On' book and poster for me. 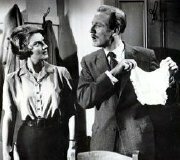 During the following five years, Hudis wrote five more 'Carry On' scripts - Nurse (1959), Teacher (1959), Constable (1960), Regardless (1961) and Cruising (1962). These six films saw phenomenal success and launched around a further 30 titles, many written by Hudis' successor, Talbot Rothwell. The success of Carry On Nurse led to Norman Hudis being invited to Hollywood, where he settled down and now has dual citizenship of Great Britain and the USA. Hudis also wrote the ITV sitcom Our House (1960) which starred a number of Carry On regulars including Hattie Jaques, Charles Hawtrey, Bernard Bresslaw, Joan Sims & Norman Rossington. His autobiography No Laughing Matter: How I Carried On was published in 2008. (1967-68) of The Man From U.N.C.L.E. More recently he has provided the script for the animation film A Monkey's Tale (1999). Norman Hudis died on 8th February 2016, aged 93.